Unroll dough onto work surface. 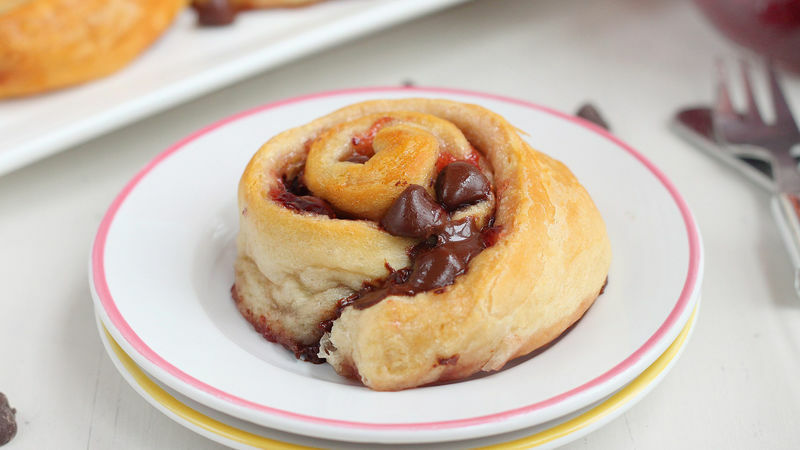 With teaspoon, spread about 1/2 tablespoon strawberry preserves onto each strip of dough. 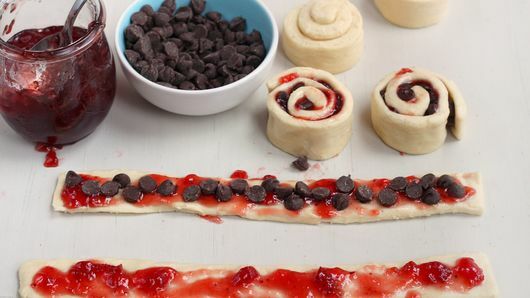 Sprinkle with chocolate chips; gently press chips into dough. Separate dough into 8 long strips, following perforations. Starting from one end of each strip, roll up dough making sure chips stay tucked in. Place rolls on cookie sheet. Bake about 15 minutes or until light golden brown. Cool on cookie sheet 3 to 5 minutes; remove from cookie sheet to serving plate. Serve warm. If in a hurry, you can prepare the rolls ahead of time, place them in the fridge, and bake when needed. Just make sure you cover them with plastic wrap so they don’t dry out while in the fridge. The rolls are best served the day they are baked, preferably while still warm.